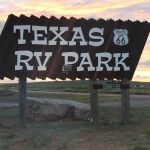 Ask fellow campers about "Texas Route 66 RV Park (formerly West 40 RV Park)" and nearby attractions. Recently been purchased and new owners are making great improvements. The site was level with full hook ups for $25. There was some noise from interstate but didn't disturb us. It was an overnight stop and worked great. We will stop there again. We camped at Texas Route 66 RV Park (formerly West 40 RV Park) in a Motorhome. Sign on office door says the park is closed. There were two rigs there; one appears to be in use. I'm guessing that the park closed very recently. We camped at Texas Route 66 RV Park (formerly West 40 RV Park) in a Motorhome. I'm not one to normally rate low. If there had been a zero this park would get one. We only drove through. The grass at sites was a foot tall. Only a few long term rigs had the 4 or 5 mowed sites. There was no one at the office. Good Sam should drop this park. Don't waist your time. We camped at Texas Route 66 RV Park (formerly West 40 RV Park) in a Motorhome. I'm not sure how this park qualifies to be in the Good Sam Directory, maybe the standards of Good Sam have changed. I sure hope not! The pool was full of green water and not opened, so in my opinion they shouldn't be advertising they have a pool, very disappointing when you have kids that want to go swimming after a long hot day of traveling. The grassy site that we had was far from level. The hookups where very questionable. I made sure I tested the 30 amp with my multi-tester before plugging in. The water tap had sediments coming out of it, made sure I used my filter even though it had to lay on the ground as the tap barely came out of the ground. The Wi-Fi did not work for us while we where there. The washrooms were dated but functional. It's the only RV park around for miles, but if I would have known how run down this park was, we would have kept on driving. We camped at Texas Route 66 RV Park (formerly West 40 RV Park) in a Motorhome. WOW! A Good Sam Park?? Once again the Good Sam rating is way off the mark! Nobody here when we arrived about 4pm. Office closed. Pool closed and full of green water. Unkempt grounds. A few long term trailers and 5th wheels here, and a few of us duped over nighters. They are the only choice for miles around so you hook up or keep driving! Our 50a electric was steady at 120v, the water was good, and the rough gravel site was close to level, so it works for an overnight. We camped at Texas Route 66 RV Park (formerly West 40 RV Park) in a Motorhome. This is an OK overnight stay - easy in /out, and OK for $27, but should've been better. No cable, but WiFi works fine. Right next to freeway with lots of noise, but there aren't a lot of choices between here and there. We are sitting out in a grassy field, dog on her bed sleeping, so it must be OK. If I look right I see a whole lotta grassy field to the right, if I look left, I see I-40. It's really not that bad and most of all it's quiet except for the road noise. Most here are one-nighters just wanting to relax for a few hours before they hit the road again. It works. We're here and comfortable. We camped at Texas Route 66 RV Park (formerly West 40 RV Park) in a Fifth Wheel. Very basic park that is OK for an overnight stop. It is right next to I-40 about 3 miles west of Shamrock, Texas. It is a field of blowing grass/weeds with gravel spaces. They have some very long pull through spaces that are level and have full hookups. Road noise is constant, but was not an issue for us. Winds do kick up during the day. Wi-Fi is free, but was not working during our stay. OK for a stop over. We camped at Texas Route 66 RV Park (formerly West 40 RV Park) in a Fifth Wheel. Great location for overnight stay. Friendly staff. Parking was in a large grass field. Spots were level. Park very clean. We will stop there again. We camped at Texas Route 66 RV Park (formerly West 40 RV Park) in a Motorhome. This is just an overnight park from my perspective. It is right off the freeway and had huge, long pull through spots, so we could get in there with our 46' coach pulling a car with no issue and big wide turns to get out. We parked at the first spot that was just straight ahead of the entrance. Nice view of a field ahead of us. The place is pretty barren, the water hose bib leaked, the 50 amp power on our side popped the breaker and wouldn't reset, but we just used the one next to it just fine. One of the workers was pumping what seemed to be the septic tank out into the field ahead of us, but there was no smell. It was fine as a place to park overnight and was inexpensive. The fellow at the front desk was very friendly. We camped at Texas Route 66 RV Park (formerly West 40 RV Park) in a Motorhome. Right on Route 66 near the inspiration for some of the CARS movie scenes. Park is basic, but we really like the owner, and he was very helpful. Wi-fi worked great; restrooms are clean; site is gravel but level. Some playground activity, birdwatching, picnic areas. It is just off I-40 (visual distance). We camped at Texas Route 66 RV Park (formerly West 40 RV Park) in a Motorhome. We arrived there late after talking to the very friendly owner. The sites looked very rundown, but the light was very poor. Many electric hook-ups had exposed wires and did not look safe. Tried walking around to find a good site but encountered a smake. Not sure what type as it was dark. We decided to move on. We camped at Texas Route 66 RV Park (formerly West 40 RV Park) in a Fifth Wheel. Owned by a nice old man whose grandparents settled on this land which is still dirt and grass. Bath was old and well used but fine. Iffy Wi-Fi that comes and goes but the I-40 noise is there to stay. Would stay there again. We camped at Texas Route 66 RV Park (formerly West 40 RV Park) in a Motorhome. This is an adequate park if you are just passing through. It is easy to access from I-40 and located off old Rt. 66, which runs parallel to the Interstate. Some traffic noise but not to bad. Park has pull-through gravel sites and interior dirt roads with no shade. The park facilities are old and in need of repairs and upgrading. The bathrooms and laundry look to be 50 years old and were dirty. Old paneling, cobwebs, poor lighting, no latches on the stalls, no paper towels and no hand soap. There is a swimming pool but it was not open. Little to see and do in the area though Shamrock does have some surviving Route 66 buildings as well as Vern's Steakhouse which is a good meal if you are up for a steak. We camped at Texas Route 66 RV Park (formerly West 40 RV Park) in a Motorhome. This is a good park, out on the prairie. There is a genial owner. Flat, long, nicely spaced, and easily accessible sites with good hook-ups that all work properly. This is a no-frills park, but entirely adequate for a stay. Quite windy, but that is pretty much what you get on the Texas plains. The rate of $26 is for 30 amps; 50 amps is an additional $2. We would certainly stay here again We camped at Texas Route 66 RV Park (formerly West 40 RV Park) in a Motorhome. I was so pleased to find this easy-access park with full hookups and Wi-Fi. Given the ruralness of the area, I wasn't sure what I'd find, but this park and it's owner were super. It isn't the classiest of parks, and it doesn't have activities, but it had what I was needing: level, easy in/out pull-through site, good utilities, Wi-Fi. And beyond that, I also got a nice friendly greeting. I was pleased with the laundry room, so I went ahead and enjoyed a little RV-keeping while I was here. We camped at Texas Route 66 RV Park (formerly West 40 RV Park) in a Motorhome. Are you affiliated with Texas Route 66 RV Park (formerly West 40 RV Park) ?